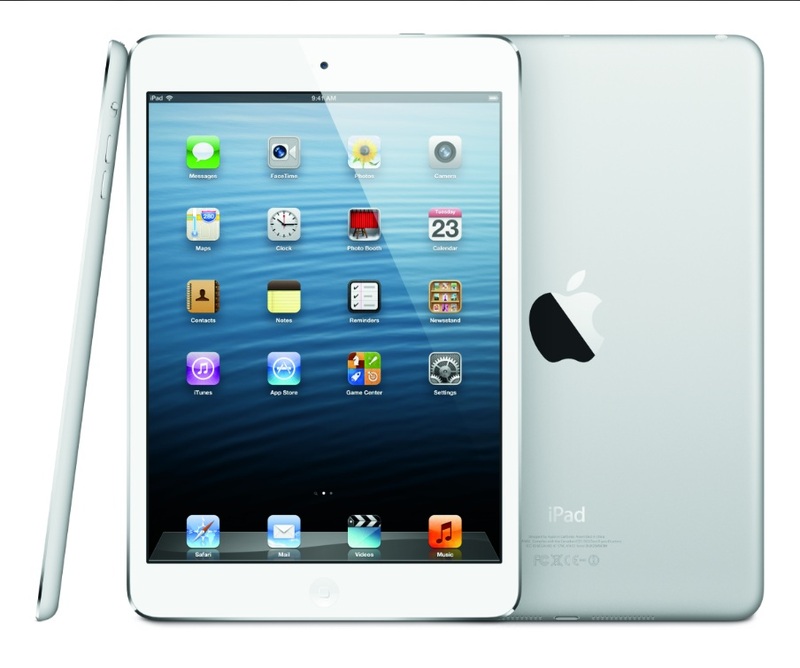 Apple has launched the smaller version of the Apple iPad, which is called the iPad Mini and this would be one of the best competitions to the winner till now, the Samsung Galaxy Tab, 7-inch variant. It is a sleek device that comes with the Retina Display, and there are quite a few amazing features and specs of the device that would keep the typical-Apple feel intact in the iPad Mini. What would be special about the iPad Mini is the 7.9-inch screen which offers the same number of pixels which the larger iPad variants already have, and this means a better quality display and Apple is already one of the best brands in the producing excellent displays. iPad mini with Wi-Fi models will be available in Black & Slate or White & Silver on Friday, November 2.
iPad mini and the fourth generation iPad will be sold through the Apple Online Store (www.apple.com), Apple’s retail stores, and select Apple Authorized Resellers in the US, Australia, Austria, Belgium, Bulgaria, Canada, Czech Republic, Denmark, Finland, France, Germany, Hong Kong, Hungary, Iceland, Ireland, Italy, Japan, Korea, Liechtenstein, Luxembourg, Netherlands, New Zealand, Norway, Poland, Portugal, Puerto Rico, Romania, Slovakia, Slovenia, Singapore, Spain, Sweden, Switzerland and the UK.